Most e-smokers who use these amazing products know they are very much low maintenance. Using them is simple, taking care of them is simple, and just a little extra effort can allow them to last a very long time. So do you want to get the most out of your e-cigs? Here’s a little useful info to make their performance tops and their lifespans go as long as possible! Your e-cig battery can last quite a while, and even though disposable cartridges only go a couple days at the most with regular usage, batteries are built to last. A little extra care, such as cleaning them thoroughly along their connecting points can help provide great performance, and keep your vapor pouring out in clouds. Using just a soft dry cloth and a Q-tip to remove any excess liquid or dried up residue, can have an excellent result in allowing your battery to perform at full strength for a long time to come. Clean weekly, and things will be awesome. Most e-cigarette cartridges are disposable, and they really don’t require any extra maintenance. Screwing them onto the battery at just the right level of tightness is one of the few things you have to master about using them. If they’re too tight, the battery will have a hard time vaporizing, and if they are too loose, you run the risk of leaking, as well as the battery not vaporizing liquid. Otherwise, cartridges are pretty self-explanatory. Attach, vape, toss, and replace. One of the best ways to ensure maximum performance for the longest amount of time with your batteries is having a constant regimen of keeping your gear safe. Batteries can be susceptible to damage from falls, being knocked around, and just general use. When not in use, a specially designed storage case is the best place to keep your gear and batteries. Lucky for you, we carry a lot of different electronic cigarette accessories such as our Personal Charging Case, the PowerCig, the Universal Carrying Case, and our e-cigarette lanyards, all of which allow you to have the convenience you need while ensuring your gear is protected. 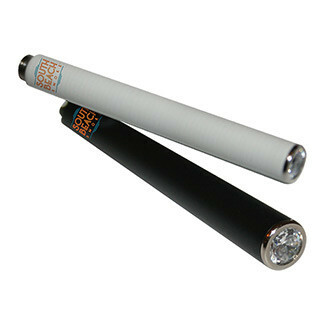 Electronic cigarettes should be considered an investment, because most of the gear are one-time purchases. While there’s a lot of cost savings compared to traditional smoking, maintaining your products so that they last as long as possible and perform highly for as long as possible allows your investment to stretch. Basically, clean, store properly, and take care of your stuff and it’ll take care of you! Mother’s Day: There's Still Time!